It is an emotional cycle familiar to most AIDS-vaccine researchers: the high of finally making measurable headway against HIV, followed by the crushing low of discovering that the virus has once again found a way to elude them. It happened again on Saturday when researchers learned that the first ever successful AIDS vaccine turned out not to be the triumph they had originally hoped. In September, scientists from the National Institutes of Health (NIH) and the U.S. Army announced the results of an AIDS-vaccine study in Thailand involving more than 16,000 volunteers. The data showed that the new vaccine had protected 31% of inoculated participants from becoming infected with HIV. But a closer look at a subset of the study's volunteers now reveals that the vaccine in fact protected only 26% of the people who received it. The difference is small but critical because the new success rate of 26% falls below the threshold for statistical significance. That means that the odds of being protected from infection by the AIDS vaccine may be no better than chance. At issue is a matter of head count. If the entire group of volunteers who were enrolled in the study were included in the data, then the results would suggest a 31% effectiveness rate, with 51 in the vaccine arm and 74 in the control group becoming infected with HIV. These are the results that were announced in September. 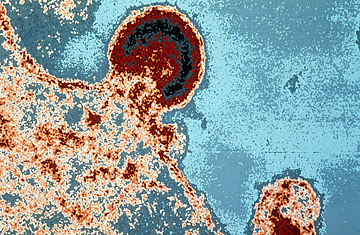 But because this particular vaccine comprised two older vaccines that were given in six doses over a six-month period  in what is referred to as a prime and boost regimen, in which the early shots prime the immune system to fend off HIV and the follow-up shots boost the body's immunity  some volunteers became infected with HIV before receiving all six shots, rendering them ineligible to complete the study. Had the study been designed to license the vaccine, researchers would be aiming to study how well the complete set of inoculations protects against infection, and would have focused primarily on the volunteers who became infected after receiving all six doses. The resulting tally, then, would include a much smaller pool of participants, which automatically lessens the significance of whatever effect, if any, the vaccine appeared to have, says Dr. Anthony Fauci, director of the National Institute of Allergy and Infectious Diseases. "When you lose statistical power, something that would have been significant in the [original, larger] population, could now fall below significance merely by the lower numbers. That's what happened with this trial," Fauci says. According to Fauci, however, the trial was not designed to license the vaccine but to test whether the concept of using the two vaccines in sequence would work. In the latter condition, statisticians say scientists generally consider all data from the complete, original population, since these numbers more accurately reflect what might happen in the real world. In other words, it's a more rigorous analysis of how effective a vaccine might be in a population of people who, realistically, could be exposed to HIV before they finish the full six doses of the vaccine. As for why investigators did not reveal both sets of data in their initial announcement, the Army researchers posted this update on the website of the U.S. Military HIV Research Program: "Explaining the differences between them is complex and the appropriate venue for this technical discussion of statistics is at an open scientific conference and in the scientific publication now under review at a major journal." So does this mean the vaccine was not effective? That depends on whom you ask. Some experts argue that the vaccine's effect, if it exists, is so tiny that it's not worth pursuing in a significant way. They also question whether such a large trial can be considered as a proof of concept. "Doing a 16,000-person trial, it can't be a proof of concept at that point," says Dr. David Ho, director of the Aaron Diamond AIDS Research Center in New York City. "Would I invest in it? The answer is no. There are other things that are more likely to work, that are better, easier and more straightforward than this vaccine."